girl was hitting the button “Publish” for the very first time! At that time I didn’t really know what I was doing. My only desire was to talk about my culinary arts and what and how to eat Indian food to be healthy and fit and keep in touch with my friends and family. 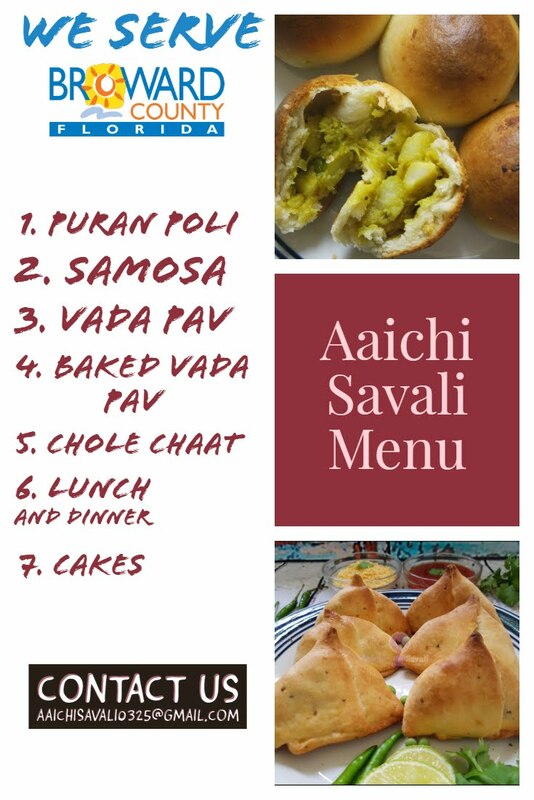 This day marked two very important and special anniversaries - 2 years of our blogging journey and 3 years of togetherness (my husband and me). It’s our blog’s second birthday. OMG! Time flies so fast but time does fly when you are having fun. My McDreamy (Husband) is the person behind this achievement and he constantly encouraging me to do more with my passion for food. I can hardly believe that it has been two years already since I took my first baby steps into the Blogging world. It’s been a fantastic year and a great learning experience. And It would have never been possible without your support! On this special occasion, I would like to thank all my blog readers, family members, friends and followers on Social Media. You all are my inspiration. Thank you all for your time, comments, likes, shares and motivation. This is my favorite post, and it's because my little baby(my blog) turned 2 today. 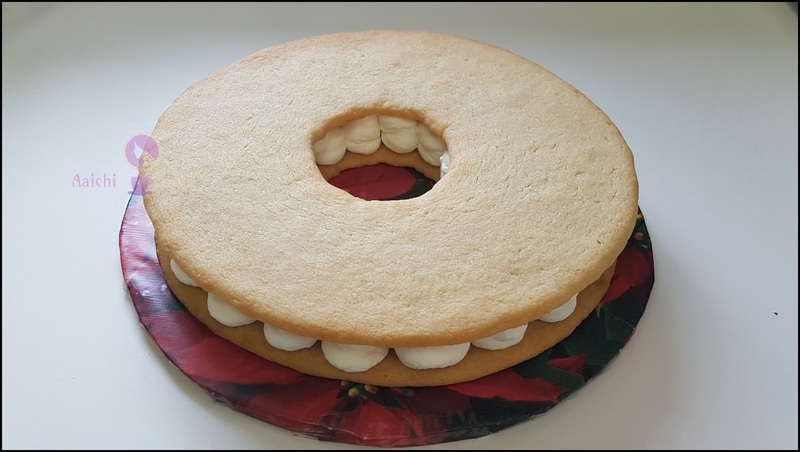 And to celebrate this moment I have prepared this 2018’s trendy cookie cake. 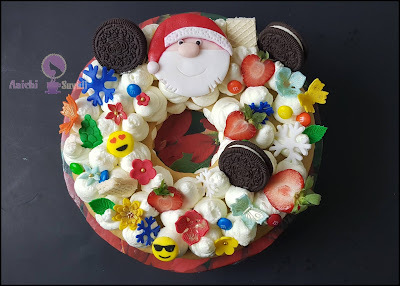 It's fun making this trendy cake, it's tricky at the same time to turn it into an eggless version, and I am happy with the outcome. I feel it's adventurers when it comes to trying anything that is on trend. Feeling good to share with you my own eggless trendy cookie cake version. 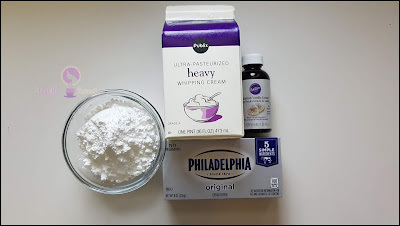 You may use any stabilized cream filling, here I have used whipped cream and stabilized with cream cheese and sweetened it with powdered sugar. You may use mascarpone whipped cream, chocolate ganache, gelatin too. This trendy cake is either known as cream cake, cream tart, number or letter cake or cookie cake. 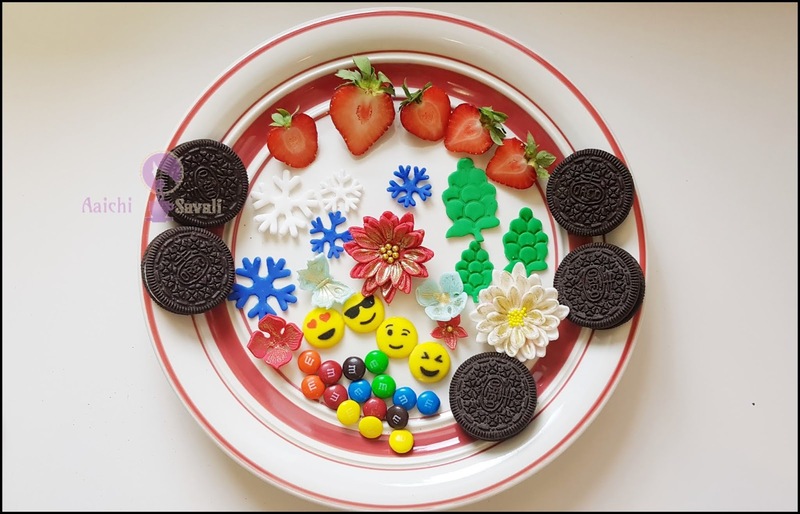 Cookie layers filled with your favorite frosting and decorated with fresh fruits and flowers, chocolates, sprinkles. 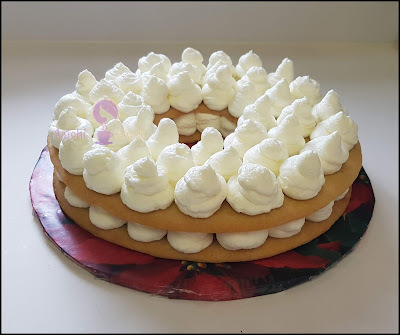 This cookie cake recipe, new cake trend will make a great Christmas or new year dessert. And yes, I have given a try to this new trend of cookie cake and made my own version. 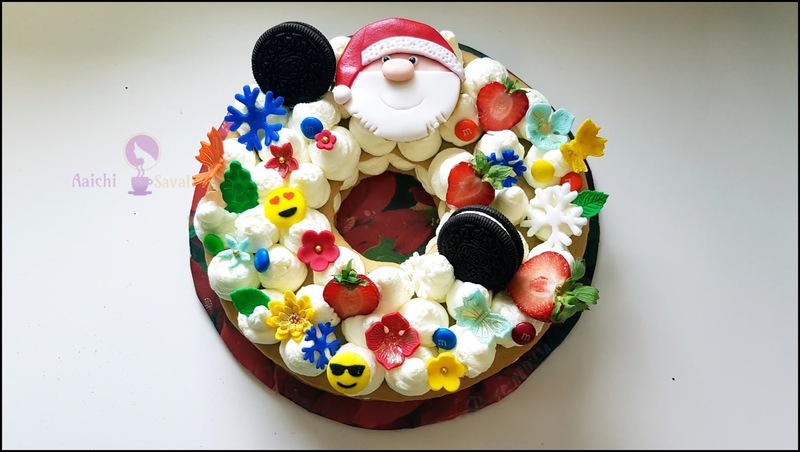 I am in love with this trendy biscuit cake. I have been so eager to create this current trending cake style and finally nailed it. Yay! 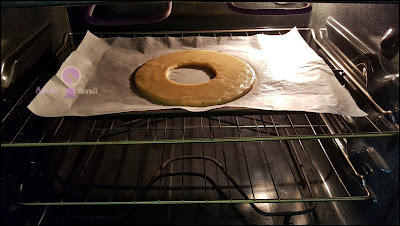 Preparation Time: 20 Minutes; Baking Time: 12-15 Minutes. Freezing Time: 30 Minutes; Total Time: 65 Minutes. using salted butter then skip salt). In a bowl sift together all-purpose flour, salt, baking soda and keep it aside. Now, add vanilla extract and milk to the butter, sugar mixture and mix all well. 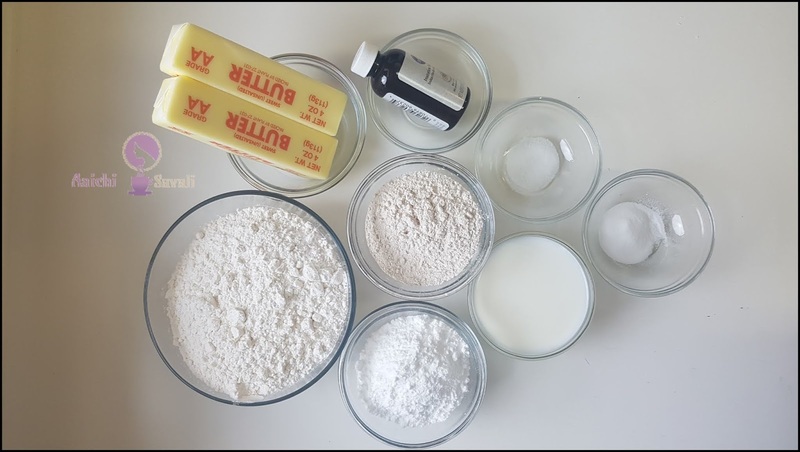 Now, add dry ingredients to the butter mixture and mix well and make a dough. Cover with cling wrap and freeze for 30 minutes. 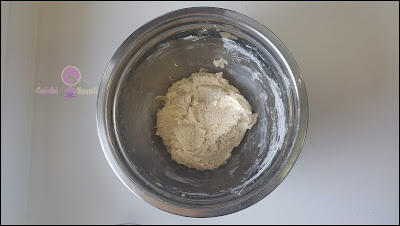 out dough from freeze and divide it into 2 equal parts. Roll each piece of dough between two pieces of parchment paper(approx. 9” diameter and 5 mm thickness). 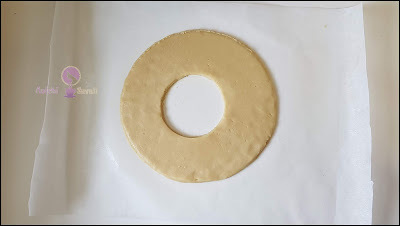 Use 8” pan to cut the circle and remove the excess dough. cut the center circle and remove the excess dough. Preheat oven at 350F (180C) and bake for 12-15 minutes or until it turns a golden brown color. Beat cream cheese until it becomes smooth. Whip/beat together heavy cream, sugar and vanilla extract for 3 to 4 minutes or until stiff peak forms. Now, add cream cheese and beat until mix all well. 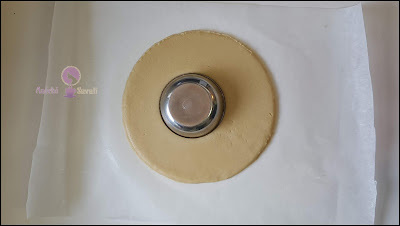 Put frosting in a piping bag with a round trip(I have used Wilton round tip 2A). Place one piece of cookie on the cake board and pipe even dollops of frosting on top of the cookie. Top with the other cookie and pipe again with frosting. cake with flowers, berries, meringues kisses, chocolates and sprinkles, edible emojis and snowflakes. Refrigerate until ready to serve. Enjoy!!! 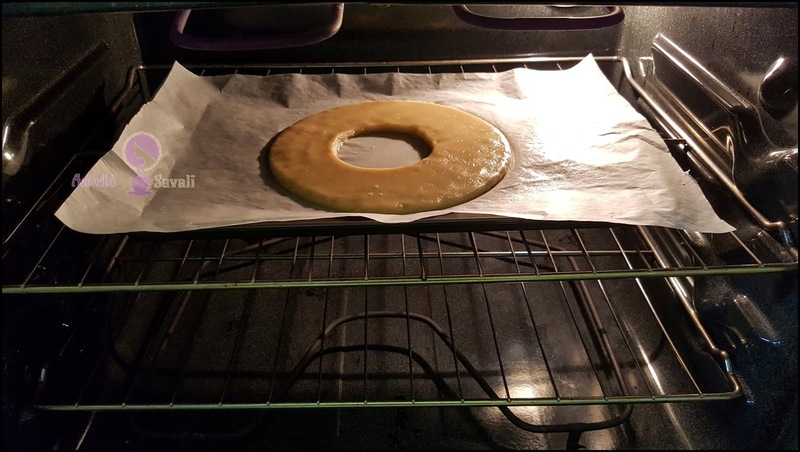 Once made, this trendy cake should be served within 6-8 hours because the filling could soften the cookies quickly. You may make the cookie layers in advance. Store the cookies at room temperature, wrapped in plastic wrap for 3 days. You may make the frosting ahead, cover and store in the fridge for overnight. You may decorate cookie cake with fresh flowers, chocolates, candies. Sounds pretty easy right? Give it a go this Christmas season, I promise you won’t regret it! It makes 10 servings. Based on a 2000 calorie diet. 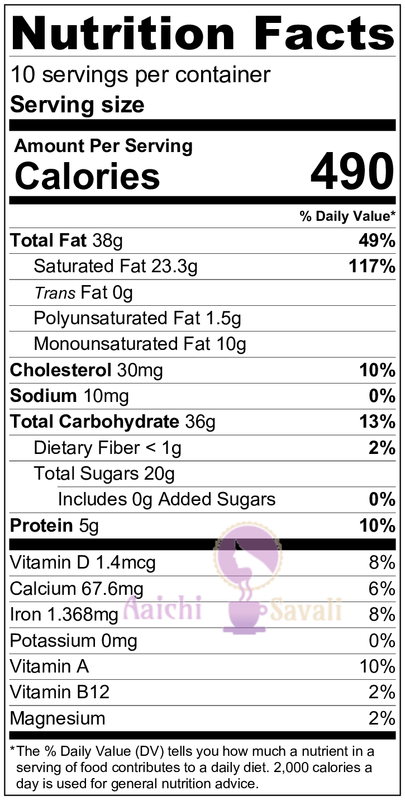 Each serving contains 490 calories, along with carbohydrates - 35.86 g, fats - 37.62 g, proteins - 5.2 g.
It's good to eat cookie cake as a dessert!